Heat gas or charcoal grill. In small bowl, mix gingerroot, salt and cumin. Rub pork with ginger mixture. Cover and grill pork over medium heat 15 to 20 minutes, turning occasionally, until pork has slight blush of pink in center and meat thermometer inserted in center reads 160°F. Meanwhile, in small bowl, stir remaining ingredients until marmalade is completely mixed in. Cut pork into thin slices. 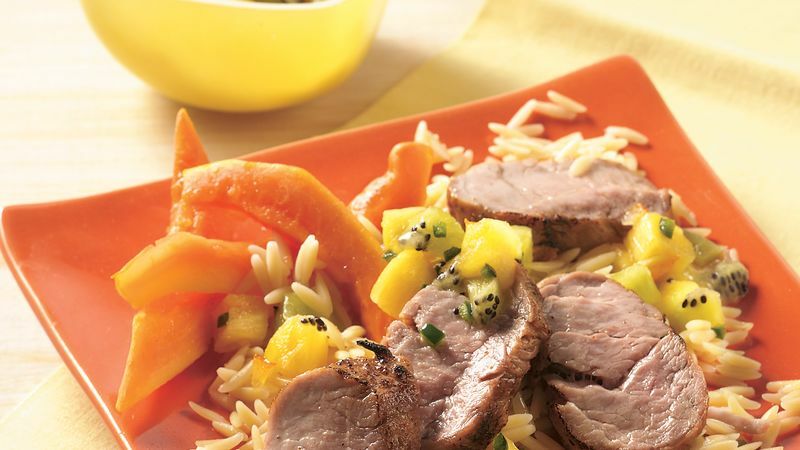 Serve pineapple salsa with pork. You may have to ask the butcher to cut a 1/2-pound piece from a larger tenderloin for this recipe. Serve papaya slices on the side to enhance the flavors of the Pineapple Salsa.